What is the High Fell project? 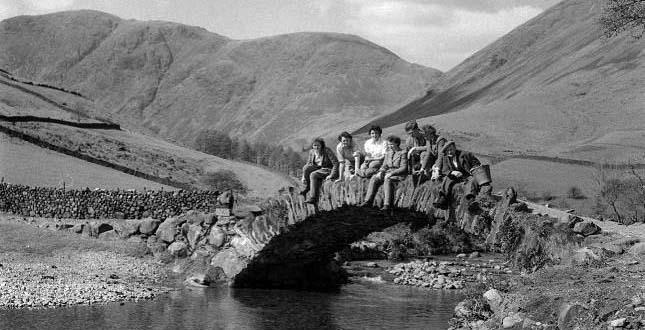 An oral history project undertaken by Cumbria Wildlife Trust that has collected local people’s memories of Cumbria's fell landscape and its wildlife before and after WWII. It is a 1 year project funded by the Heritage Lottery Fun. What kind of memories were recorded? Recordings have been made with people from all walks of life from hill farmers to conservationists, from foresters to fell runners. Check out the Biographies page to find out more about these people. Why have we gone back to the period before/during WW2? The fells have been shaped by man for thousands of years, but the period after the war was a time of radical change, which influenced the landscape and the wildlife, and indeed people's way of life. Developments in agricultural practises and the drive for self-sufficiency after the war; the 'opening up of the lakes' with improved infrastructure and increase in leisure time; land use changes such as afforestation and woodland management. These have all shaped how the landscape looks today and the flora and fauna we find within it – some things will have become more common, whilst others may have disappeared. What's happening to the collected material aside from this website? Exhibition: Learn more in the interactive High Fell exhibition at Tullie House (31 March – 01 July 2012) or catch up with our mobile exhibition as it makes it’s tour around the county. Audio-Trail: Explore the history of the fell landscape for yourself with our Great Langdale audio-trail. Archive: Close to 50 hours of recordings have been made in this project, and this website represents just a fraction of the material collected. All the recordings and transcriptions will be archived with the County Records Office. The project would not have been possible without the contributors to the project, who generously gave their time, memories, knowledge and photographs. This is a project that was developed by the Cumbria Wildlife Trust but has been made possible by the communities of Cumbria, both those who shared their memories and stories of days past, and those who helped capture them and present them. Special thanks go to a fantastic group of local volunteers: Heidi Bailey, Renee Bales, Moira Beanland, Rosie Broyd, Sarah Jane Cherrie, Christine Davison, Glennis Drain, Oliver Fulton, Becky Hall, Chris Johns, Irene Krechowiecka, Sandra Kruger, Rosemarie Kyles, Carole Lloyd, Judith Lord, John Minto, Lisa Morris, Adrian Rose, Valerie Shiels, Elizabeth Simm, Penny Summerfield, Moira Suringar, Richard Sutton, Angie Takas, Mike & Sue Turner, Bunty Wright.